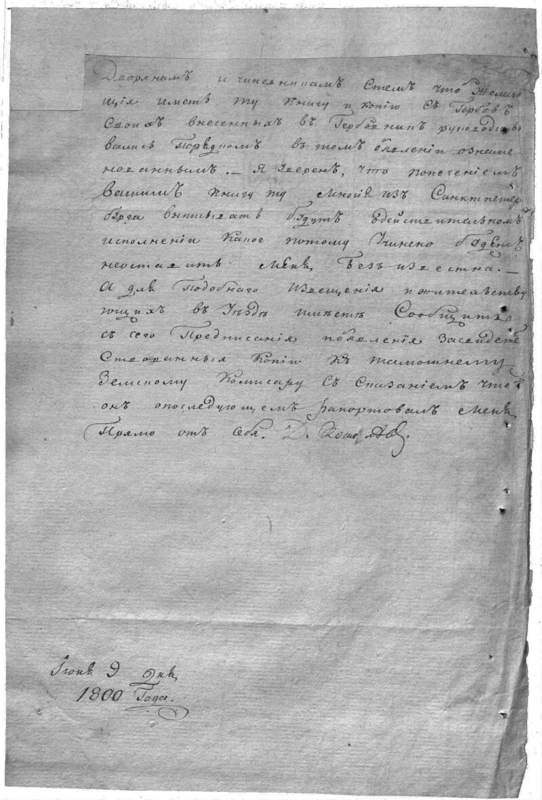 Decrees of the Senate and Tobolsk Provincial Board [Case]: August 10, 1798 - September 16, 1854 - 1798 - 1854. - 67 L. - (Fund City police in Tyumen, Inventory No. 1). 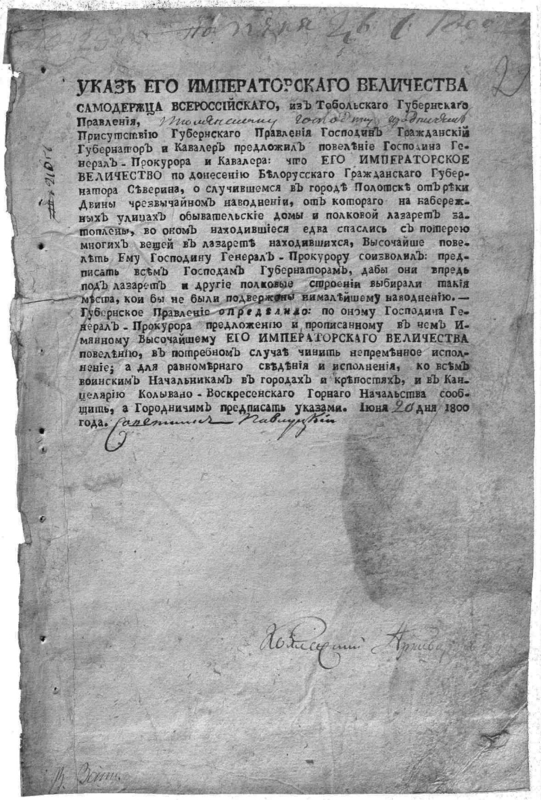 - Handwritten and printed text; with pencil and ink marks . 1. 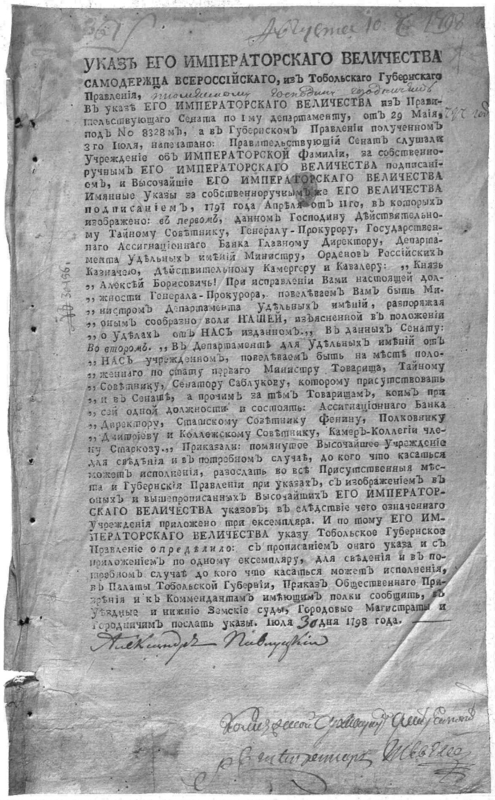 Tobolsk provincial board - Activity - 1796 - 1801 - Documents and materials. 2. 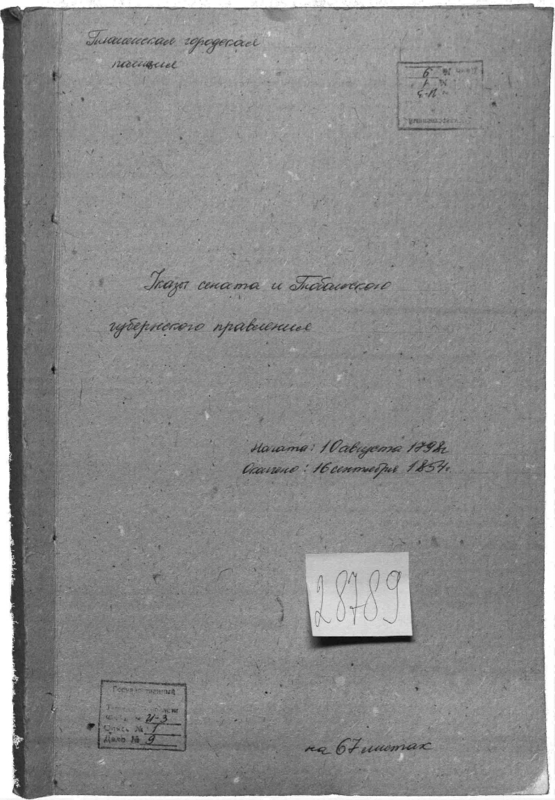 Tobolsk provincial government - Activities - 1801 - 1825 - Documents and materials. 3. 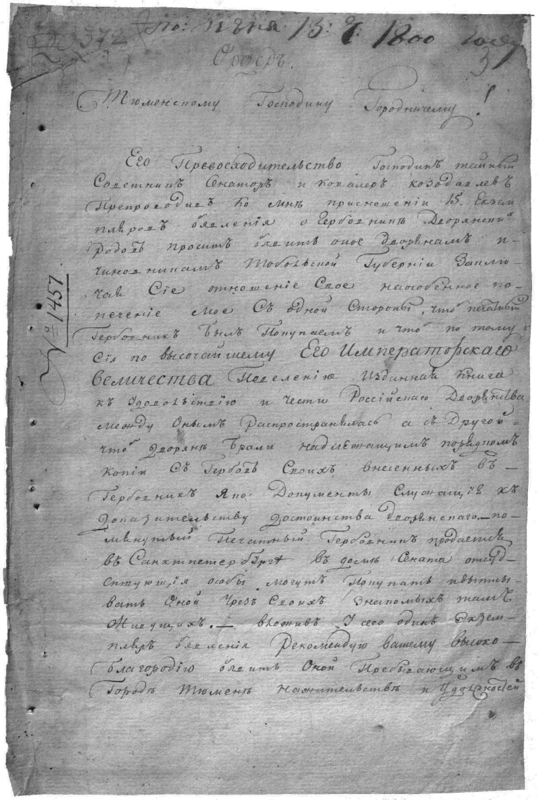 Tobolsk provincial board - Activities - 1825 - 1855 - Documents and materials. 4. Power (collection).